Miami Stainless M6 x 30mm Left Hand Threaded Lag Screws are high quality forged AISI 316 marine grade stainless steel and are designed to fasten 3.2mm wire rope to timber posts, walls and panels. 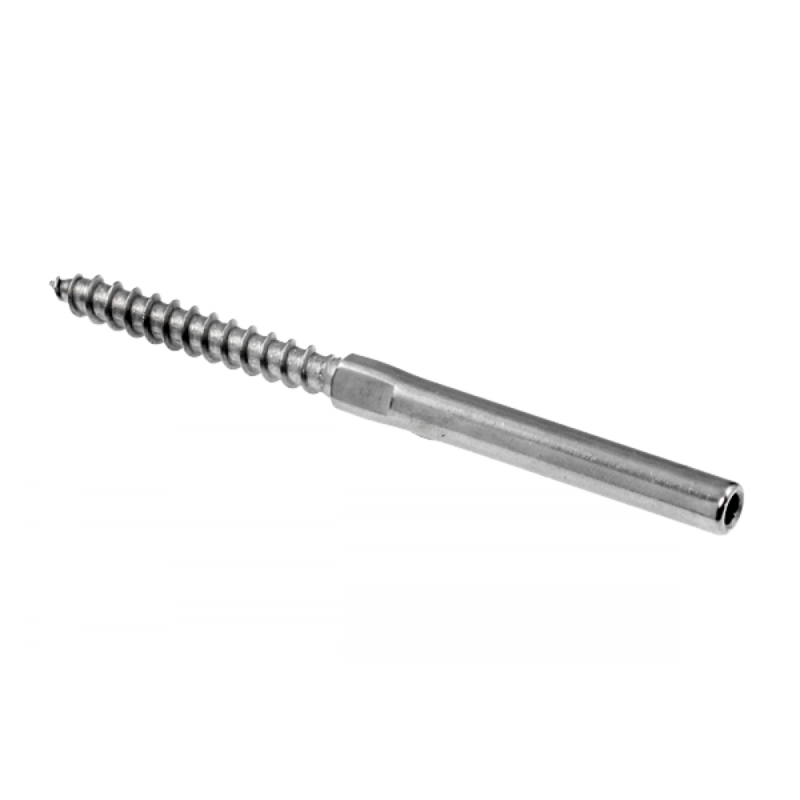 Check out our exclusive online Balustrade Builder here if you require a Lag Screw Swage Stud Balustrade System. *Pull out strengths are based on the maximum pull out loads achieved using MGP 10 structural pine. They are intended as a guide only and a safety factor should be applied to these readings depending on the situation of use. Much greater results can be achieved using hardwoods; for example Kwila will hold around 80-90% more tension.